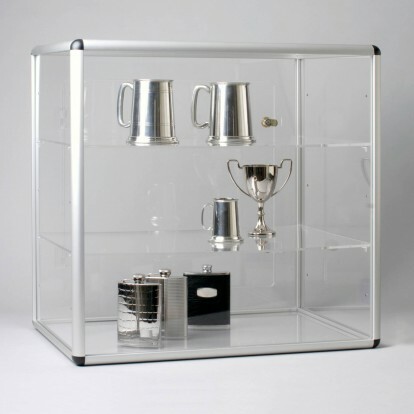 This sturdy display case has an aluminium frame with 5mm acrylic top, bottom and sides, and 6mm acrylic adjustable shelves. It has a lockable door at the back, so that on a counter you can display your items to the front, and access any for closer viewing from behind the counter only. 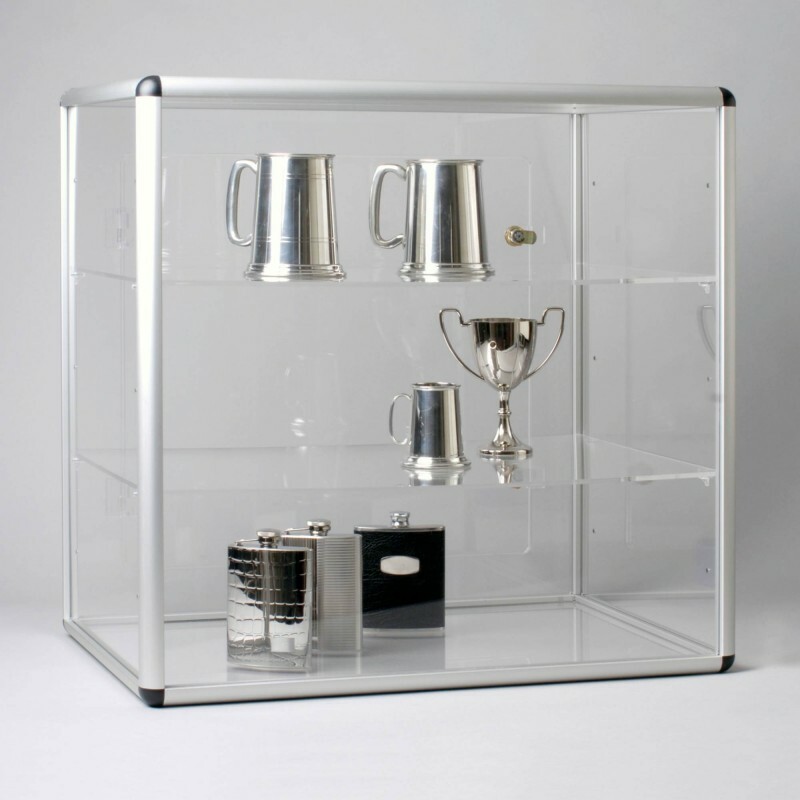 Ideal for exhibitions, shops or any time you may wish to display your collection to an audience. Please note it is delivered flat-packed for self assembly and also has a protective film which needs peeling off before assembly. Overall Dimensions: Approx. 600 x 600 x 400mm.